Open, Spacious, Upgrades, Lots Of Windows, Wonderful Front Porch, 3 Bedrooms, 2 Full Baths and Beautifully Maintained! 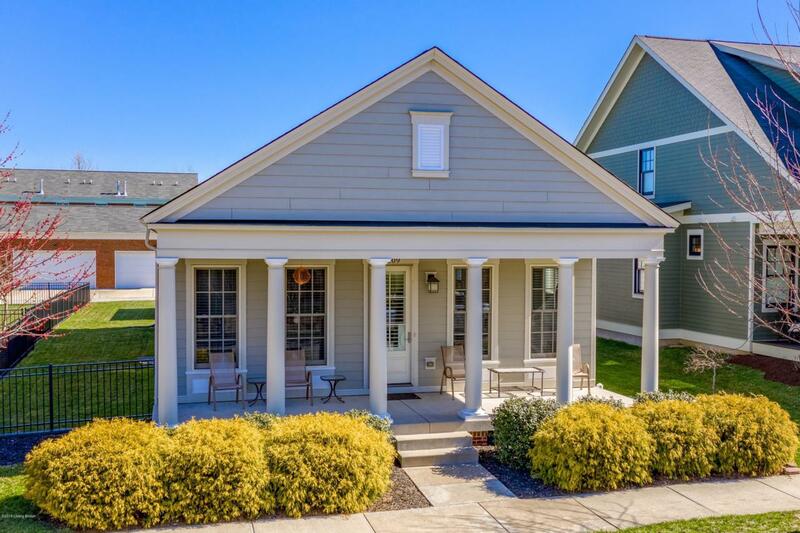 Enjoy Ranch conveniences in one of the premier neighborhoods in Louisville. Walk under the covered front porch and into a large great room. It's wide open to the formal dining room and then into the eat in kitchen. The kitchen features Granite countertops, abundance of cherry cabinets (staggered) center island with breakfast bar, pendant and down lighting. The master bedroom features a large walk in closet and the master bath has a good size walk in shower. There are 2 other bedrooms in another wing of the home and a full bath. The Laundry/Mud room is also on the 1st floor. The basement is large and ready for finishing. The exterior features maintenance free hardy board.There is tons of natural light, custom woodwork along with 10 foot ceilings and 8 foot solid core doors. This is a Limestone built home so you know the quality is here! Come see this home today.